This primary resource introduces children to the geographical features of rainforests. Discover the positive ecological impacts that rainforests have on the Earth. How much of the world’s oxygen is produced by the Amazon rainforest? How much rainfall do the planet’s tropical rainforests receive each year? How many species of animals, insects and plants live in the rainforests? 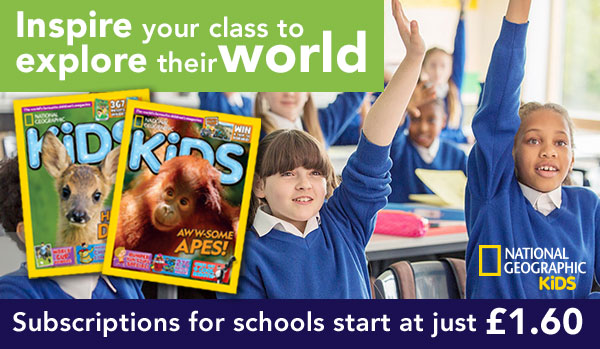 Pupils will learn about different kinds of creatures that live in the rainforest and the environment that the rainforest provides in our National Geographic Kids’ Geography primary resource sheet. The teaching resource can be used in study group tasks for discussion about weather and the water cycle in relation to the Earth’s rainforest. It could be used as a printed handout for each pupil to review and annotate, or for display on the interactive whiteboard for class discussion. Activity: Ask children to use the information in the resource to make a leaflet about the positive impacts of the rainforests on the Earth. They could also make a poster about the Amazon rainforest, focusing on why it needs protecting. Pupils could use the resource as a starting point for discussion about the weather in the rainforest and how this links in to the water cycle. They could use the discussion to help them write a report or group project about the climate in rainforests. Ask children to copy the diagram showing the different layers of the rainforest onto a large piece of paper and colour it in. They could use the information provided to label their diagrams.